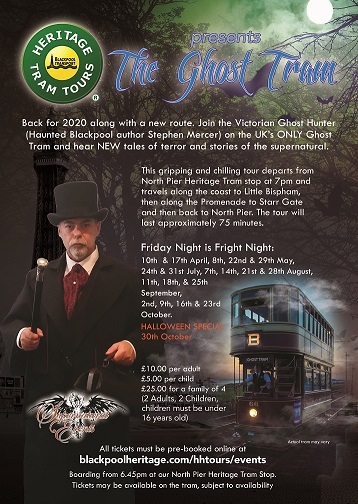 Winstone House, part of The Citadel building in Blackpool and once home to the Grammar School is the latest location for our eerie events. 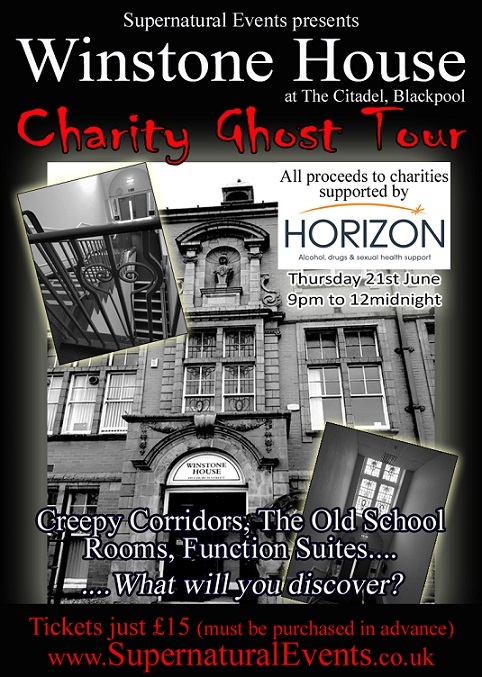 You will be able to explore and investigate some of this amazing building including some of the old school rooms and offices as well as carry out some experiments including dowsing, Ouija sessions and more! All proceeds will to to charities supported by Horizon. This event is for those who are 16 and over. Those under 18 must be accompanied by someone 18 or over. Unfortunately this location has restricted accessibility and is not suitable for those with mobility issues. Horizon offers drug, alcohol and non-clinical sexual health support to all residents of Blackpool. 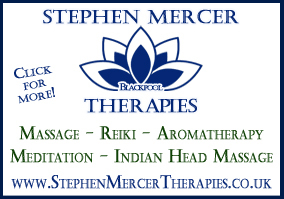 The service is confidential, non-judgemental and completely free of charge to anybody living in Blackpool who needs support to overcome their issues. Horizon operates out of four buildings in Blackpool: Harrowside, 102 Dickson Road, Winstone House and 258 Church Street. Anybody wanting to access support from Horizon can just turn up at 102 Dickson Rd or telephone 01253 205156. Sign up for our newsletter or visit our social network pages to be first to find out when we will be returning to this location. 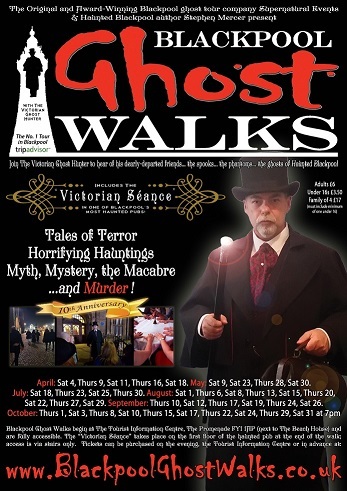 Visit our Diary page for details of other Supernatural Events, including Psychic Nights, Ghost Hunts and of course our famous Blackpool Ghost Walks with tales of murder, mystery and the macabre! click HERE.